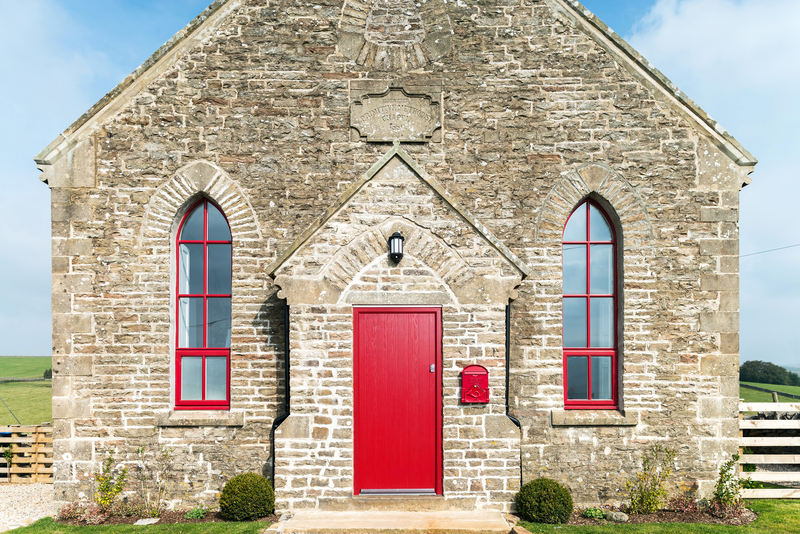 At Xtreme Door, we are proud to have installed one of our solid doors on a converted chapel in County Durham. It was the finishing touch to a high-profile project which has been completed to a very high standard. The Xtreme Door used for the installation was powder coated in bold red to match the exterior window frames. The property has now opened as a stunning holiday home which sleeps up to seven guests. The derelict chapel in the North Pennines had stood vacant for over 40 years. Having fallen into a state of disrepair, it required extensive renovation work. After two years of building work, it now provides a luxury retreat in a beautiful rural location where guests can escape the pressures of modern life. With such an isolated location, security was a high priority. It is no surprise then that designers, award winning Swiss architects Evolution Design chose Xtreme Door as their entrance door of choice. The Xtreme Door features a triple sealed outer frame providing extreme protection from even the harshest weather conditions. A North Pennine Winter, in such an exposed location can be intense. Fortunately, the Xtreme Door has been through rigorous testing and will easily withstand anything the British weather can throw at it. Isolated locations are often targets for burglars. With this in mind, the Xtreme Door was the perfect choice for the Chapel on the Hill. The Xtreme Door features a five-point locking system providing the best protection against potential intruders. For extra levels of security, the Xtreme Door can be upgraded to achieve Secured by Design accreditation. The Chapel on the Hill has been renovated to tastefully retain the building’s traditional character. The style of the conversion perfectly complements the surroundings and fits well with the history and landscape of the area. The Chapel on the Hill won the prestigious A’ Design Award in Architecture, Building, and Structure Design category in 2015 – 16. This recognition is credit to the quality of the design, installation, and products used in the project. 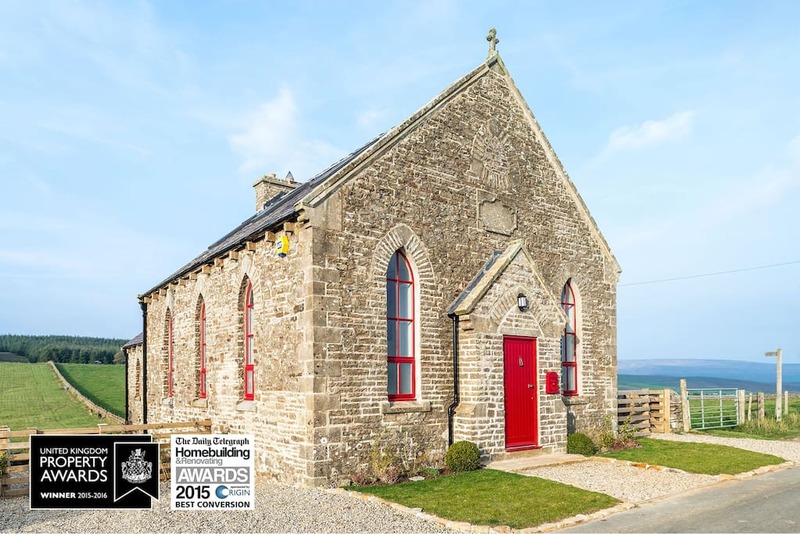 The Chapel on the Hill also won the United Kingdom Property Awards, and the Daily Telegraph Homebuilding and Renovating Award for Best Conversion. If you’re involved in a restoration project or you work in the fenestration industry and you’d like to find out more about the Xtreme Door range contact us today. Call us on 0151 608 1423 or send us a message online; our friendly team of professionals are always happy to offer advice on all our products and services.